1.Grease a microwave safe dish and line it with butter paper. 2.Sieve flour and baking powder and keep it aside. 3.Melt chocolate and butter in microwave for 1 min.When it gets melt add cocoa powder and instant coffe powder to the chocolate mixture and combine well. 4.In a mixing bowl take yogurt,sugar and vanilla essence,whisk till smooth,then slowly add the warm milk and stir it. 5.Add the flour and baking powder to it,combine well without any lumps.Now add the chocolate coffe mixture to the batter and whisk until combined.If you feel the batter is too thick add 1 or 2tbs of extra milk to it. 6.Pour the mixture to a greased dish and place it in microwave for 4minutes(varies according to the microwave).Insert tooth pick at the centre of the cake,if it comes out clear,brownie is ready. 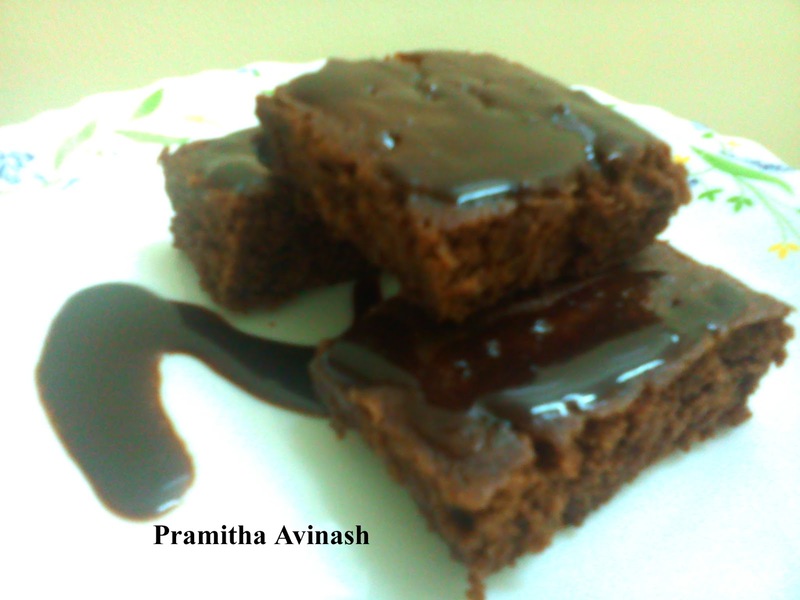 7.Allow it to cool for 5 mins,then gently invert the brownie into a plate. Cut it into square shapes. 8.For chocolate sauce melt chocolate and butter in microwave for few seconds,then add cocoa powder,milk,sugar and cream ,combine well to get the chocolate sauce.Now you can have this brownie with chocolate sauce topping. 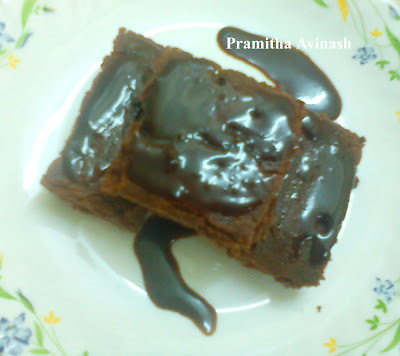 Have this with a cup of hot coffee or have this yummy brownies with ice cream topping.